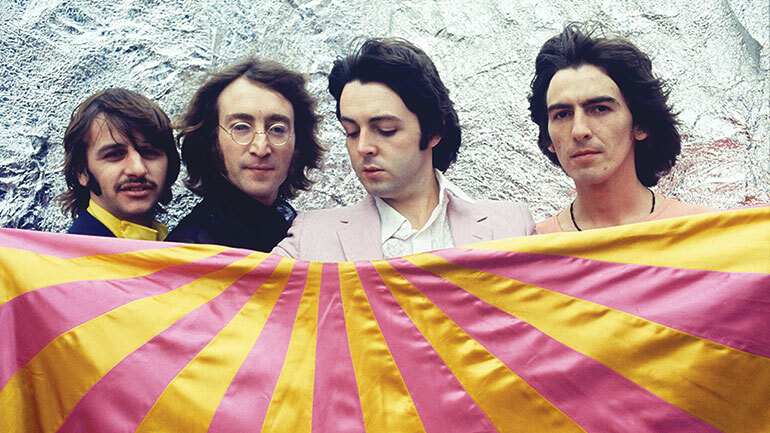 MOJO MAGAZINE’S 300th issue features an all-white cover with embossed logo, a nod to The Beatles White Album, which enjoys its own anniversary – 50 years young – and an exciting reissue in four formats (including a 7-disc motherlode) on November 9. MOJO 300, plus MOJO Anthology CD. There’s a lot in it. MOJO 300 includes an exclusive first listen to Giles Martin’s remix of the epochal 1968 double-album and delves into the bonus content: the legendary Kinfauns demos plus revelatory outtakes, and studio chatter that suggests the Beatles were far more united during the making of the album than has been previously assumed. Paul McCartney, Giles Martin, Ken Scott and Yoko Ono help MOJO peel back the layers of the (glass) onion. Meanwhile, MOJO 300 delivers on it subtitle – the Legends issue – with exclusive interviews with the biggest, most fascinating stars..
Jimmy Page takes over our Buried Treasure spot. We unearth a brilliant unpublished Frank Zappa interview. Aretha Franklin is hymned in an in-depth tribute. Jack White takes us on his journey via his four MOJO covers so far. Elvis Costello on new album, health scare, and his faithful Imposters. PLUS: our covermount CD, entitled THE MOJO ANTHOLOGY, delivers 15 exclusive tracks from Beck, U2, The Arctic Monkeys, Noel Gallagher, Robert Wyatt, St. Vincent, Paul Weller, Nick Cave, Norah Jones, Jim James, Gillian Welch, Teenage Fanclub, Johnny Marr, John Grant and Anohni. Not forgetting: Krist Novoselic, recalling the dawn of Nirvana. Ray Davies, The Edge, Ron Wood, Ian Gillan, Damon Albarn, John Fogerty, Neneh Cherry, Paul Simonon, Aimee Mann and Cypress Hill drop by to share cake and champagne. Plus! Bowie, Blondie, The Beach Boys, Fleet Foxes, Youssou N’Dour, Garcia Peoples and… Hair!